A rental ad that is designed to lure working adults may seem like good marketing, but as two Carson City, Nevada landlords found out, it can be a costly mistake. 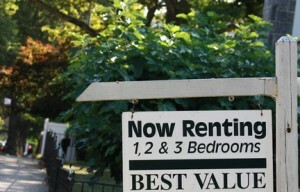 The U.S. Justice Department announced a settlement this week that ended a dispute over whether these landlords could target a particular demographic of renters when filling vacancies. In this case, the ads placed in a local newspaper for a single-family home indicated a preference for adults. A family of five complained to HUD that they had been rejected for the rental because they had children. Upon investigation, it was discovered that one of the landlords also included the preference to rent to adults in ads for a second property, a 36-unit apartment complex. In addition to paying the fine, which includes damages to the victims, a portion to a victims’ fund, and the remainder as a civil penalty, the landlords are required to undergo training on the requirements of the Fair Housing Act and to report periodically to the Justice Department. Gustavo Velasquez, Assistant Secretary for HUD’s Fair Housing and Equal Opportunity Office says the settlement reaffirms HUD’s commitment to protect families, and the Justice Department reiterated its position that prosecuting housing discrimination is a top priority. It is important to note that a landlord could fall under investigation for a rental ad targeting or discouraging certain rental applicants even where no victims come forward and complain. Demographic information is helpful for an overall marketing strategy, but only in widening the scope of the rental applicant base. Using a demographic to whittle down the applicant pool is counterproductive. Not only is it illegal in some cases, but the policy is risky because it does not address whether any individual applicant is tenant-worthy. Tenant screening policies should focus on individual qualifications, not demographics.